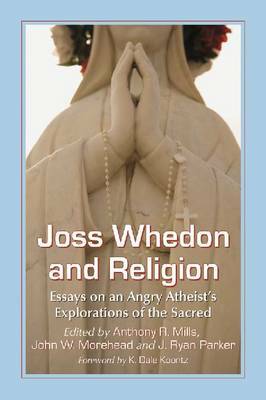 An anthology of essays on the religious themes in and implications of the works of Joss Whedon, creator of such shows as Buffy the Vampire Slayer, Angel, and Firefly, and more recently writer and director of the box-office hit Marvel's The Avengers. The book flows chronologically and addresses such topics as ethics, racism, feminism, politics, spiritual transformation, witchcraft, identity, community, heroism, apocalypse, and other religiously and theologically significant themes of Whedon's creative enterprises. The disciplinary approaches vary as well; history, theology, philosophy of religion, phenomenology, cultural studies, and religious studies are all employed in different ways. The existential faith commitments of the authors are also different. Some are clearly believers in God, some are clearly not, and others leave that matter aside altogether in their analyses.